Twickenham Encapsulation - Banagher Precast Concrete Ltd.
There’s nothing quite like a job well done & a happy customer! “A sincere thank you for your endeavour, design and enthusiasm in producing and supplying the precast units to site over the 52hr possession this past weekend and also the precast units that got the project to this milestone . Your experience and know-how aided us massively in preparing, planning and executing the works. We are very happy that the works went to plan, without incident and ahead of programme. 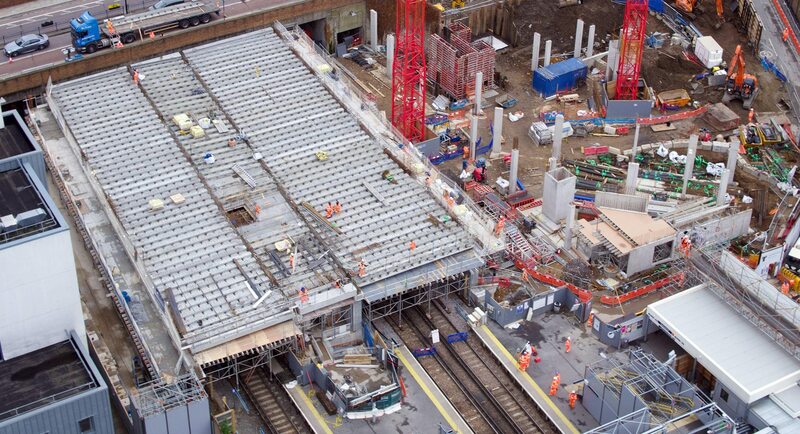 All 134 of the Banagher MY Beams were installed in Twickenham Station on time & in full for Osborne Construction and Oliver Connell & Son. The precast supporting columns were installed in March. Designed by Banagher Precast Concrete in 2007 the MY beam is a more environmentally friendly beam for shorter spans up to 19 m & is known in-house as our ‘Green Beam’, it also provides a very safe working deck for the installation crew.